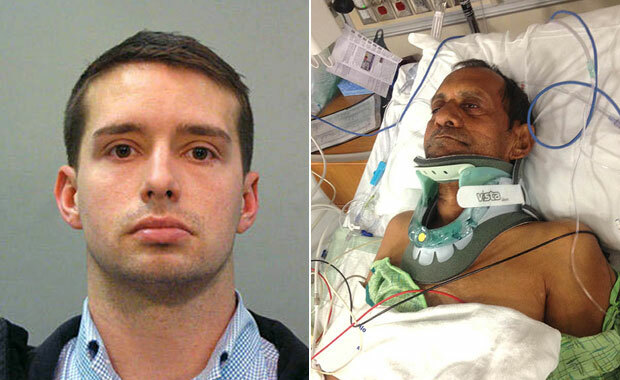 Atlanta, GA: Eric Parker, the former Alabama police officer who assaulted Sureshbhai Patel, 57 on Feb 6 while he was taking a walk in front of his son Chirag Patel’s house in Madison, Alabama is has been charged with violating the civil rights of the Indian man, authorities said Friday. Parker has been indicted with a civil rights violation that carries up to 10 years in prison. A federal grand jury decided there was enough evidence to bring charges against Parker, according to media reports. “Parker’s actions deprived the man inMadisonof his right under the U.S. Constitution to be secure from unreasonable seizures, which includes the right to be free from unreasonable force by someone acting under color of law,” the Justice Department said in a press release. “Law enforcement officers who violate their oath to protect and use excessive force must be brought to justice,” AP quoted her as saying. Both police videos show two officers eventually forcing Patel to the ground with his hands behind his back. One police video captured an officer asking Patel, “Did you bite your lip?” as he remained on the ground. The officers repeatedly attempted to get Patel to “stand up” so they could move him to a patrol car. According to the lawsuit, Patel was paralyzed in his arms and legs after officers forced him to the ground, his face bloodied. Mata Amritanandamayi(AMMA)'S ATLANTA SATSANG Cordially Welcomes All Of You To Experience Melodious Devotional Music and Meditation By Br.RAMANAND, who is a disciple of Mata Amritanandamayi(AMMA). Please Join Us and Enjoy This FREE Spiritually Transformative Event!